Mumbai, April 10 (IANS) Actor Emraan Hashmi will play a Maharashtrian character in "Ghanchakkar", says the film's director Rajkumar Gupta. 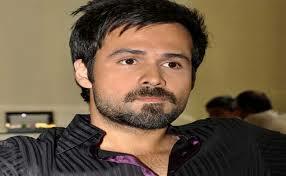 "It is true that Emraan Hashmi is playing a Maharashtrian in 'Ghanchakkar'. It is interesting because I think he hasn't played one in his career. The film has been entirely shot in Mumbai," said Gupta. The film is about a quirky marriage between a Maharashtrian man and a loud Punjabi housewife essayed by Vidya Balan. "Vidya speaks Punjabi in the film, but you will have to wait to see how Emraan got the nuances of playing a Maharashtrian," said Gupta. Emraan's character is called Sanjay Athray, born and brought up in Mumbai. He is shown to be a guy who has come up in life the hard way, someone who was a lock picker in his early days, but who now lives a respectable life. "Ghanchakkar" will release June 28.